Can the introduction of digital within social prescribing help people to take more ownership of their health and wellbeing? Sheffield Clinical Commissioning Group (CCG) have worked with two local neighbourhoods to look at how to introduce patients to digital technology through social prescribing. Digital technology can support social prescribing. In turn, this can benefit patient activation and self-management of health. An economic model, based on Good Things Foundation’s Widening Digital Participation project, suggests that patients accessing health information online could save the NHS £121 million a year by 2025. This pathfinder worked with the CCG, GPs, voluntary organisations, practice staff and existing patients to design a social prescribing model tailored to the needs of local residents. A Realist Evaluation of the pathfinder focussing on what works, for whom and in what context. Evaluating the mechanisms of engagement. 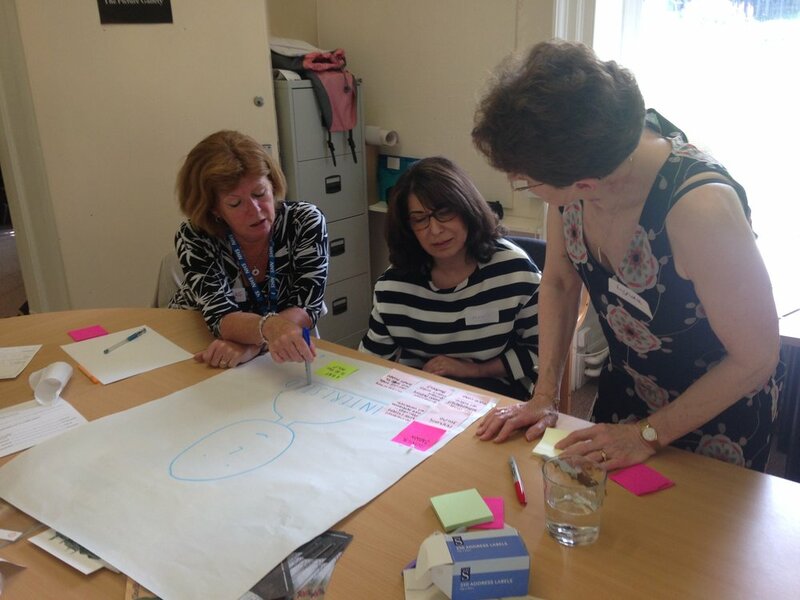 A write up of the first design session held with the CCG, medical professionals and community organisations. A write up of the second design session where we spent time with the practice staff and community nurses from the Porter Valley neighbourhood. A write up of the second design session where we spent time with the practice staff and community nurses and patients from the South Sheffield neighbourhood. A write up of the third design session where we spent time with both neighbourhoods to finalise their models to test in the Pathfinder.